There's no denying that youngsters love to do things themselves. Bring sink faucets and higher bookshelves down to their level with the aid of this booster bench. It also makes a great seat for story time. Build one with a 4-ft.-long piece of 1 x 8 in just a couple hours. 0 Rip and crosscut a 2]/2-in.-wide, 12MMn,-long board for tbe stretcher. To draw tbe strctcher arch, use a photocopier to enlarge the curved grid shown on the Stretcher Layout drawing, page 296, until the squares are V2 in. 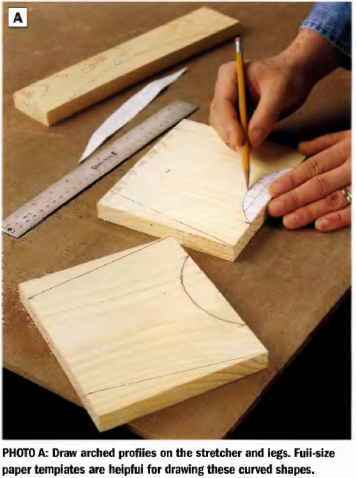 Cut out your paper pattern and use it as a template for drawing the stretcher arch on the pine blank. 0 Crosscut two 6-in. lengths of pine for the legs. © Draw the leg shapes, using the Leg Layout grid drawing, page 296, as a guide. Make another paper t emplate and use it to draw the leg arches (See Photo A). 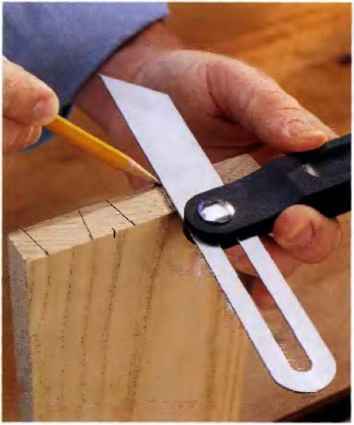 © Cut the arches in the stretchers and legs with a jig saw. Smooth the curved cuts with a file. © Crosscut a 16-in. board for the bench top. © Lay out. and draw 1-in. radius corners on the top workpiece. 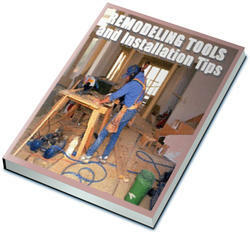 Cut the corners, and smooth the curved cuts with a file. 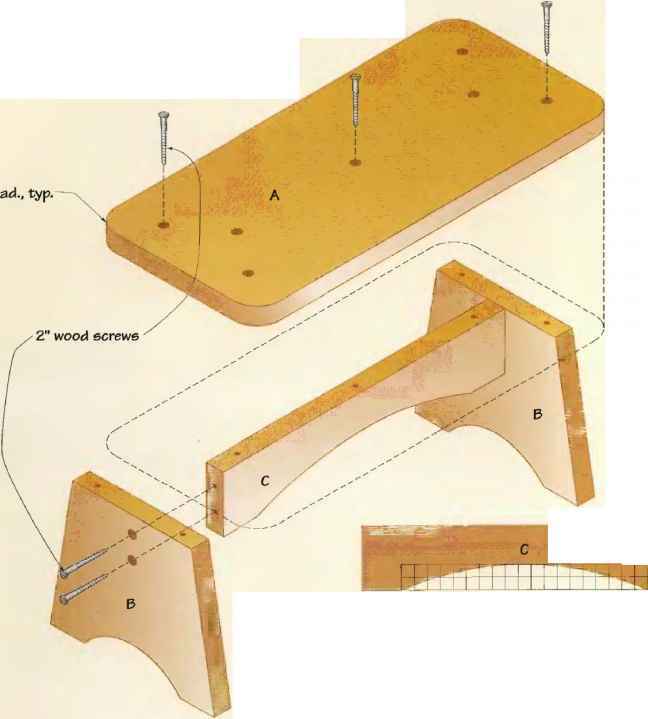 PHOTO A: Draw arched profiles on the stretcher and iegs. Fuii-size paper tempiates are heipfui for drawing these curved shapes. 3/4 x 7/4 x 6 in. 3/4 x 2M- x 1.2 VS in. PHOTO B: Giue and ciamp the stretcher between the iegs so the tup ends and edges of the parts are flush. Fasten the parts with countersunk 2-fn. flathead wood screws. © Sand all of the stool parts smooth. © Assemble the stretcher and legs: Draw center-lines on the legs for locating the stretcher and pairs of attachment screws. Spread glue on the ends of the stretcher and clamp it In place between the legs. Drill countersunk pilot holes through the legs and into the stretcher, then fasten the parts with 2-in. flathead wood screws. O Install the top: Center the top over the legs and stretchers, and mark centerlines on the top for driving screws into the legs and stretcher. 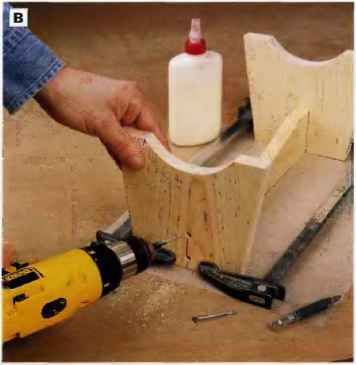 Spread glue on the mating parts, and drive countersunk flathead wood screws through the top to .join the parts. 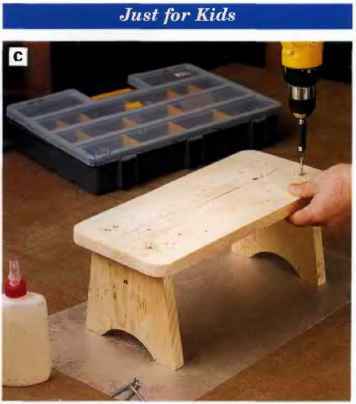 © Finish the bench: Fill the screwheud recesses with wood putty, and sand smooth. Apply primer and glossy paint (See Wood & Finish Options, right). PHOTO C: Attach the top to the stretcher and iegs with giue and screws. Lay out the stretcher and ieg locations on the top first, for iocaflng the screws. 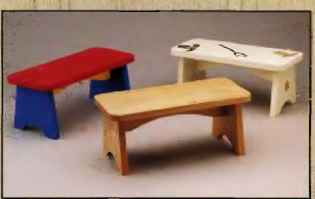 We used solid pine for buiiding the booster bench shown on these pages, but any 3A-in.-thick ¡umber you have on band would work Just as well. 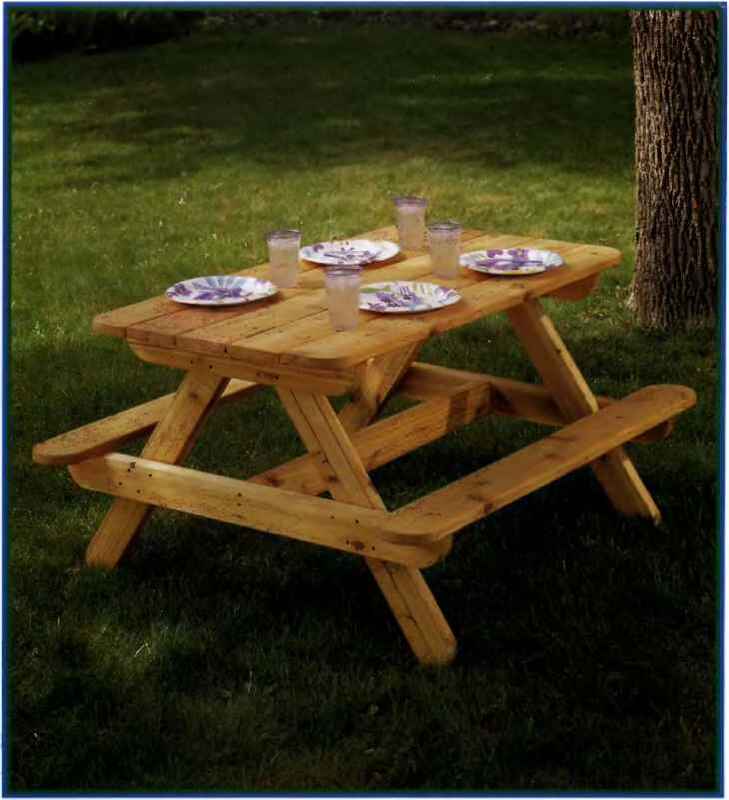 One attractive option would be to build a bench from oak or another hardwood with attractive grain pattern. In this case, counterbore the screws and install matching oak plugs to cover the screw-heads. Then finish with your choice of stain and topcoat. Paint-grade plywood also could be used to build this bench, followed by a coat of paint and maybe a tew brightly painted stenciis. Another successful painting scheme is to simply seiect a few glossy primary coiors or maybe the favorite colors of the child who'll use the bench. Let creativity be your guide.